4.9/5 out of 610 votes. Horse Chinese Daily Horoscope for Today, Tomorrow and the Day after Tomorrow. 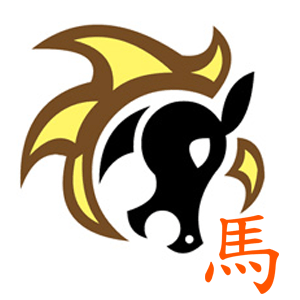 All the latest information you need about Horse Chinese Horoscope and updated Daily. Sticks and stones may break your bones, but names will never hurt you. The problem with the energy today is that there may be some sticks and stones tossed in your direction. Be on the lookout for such objects. There are powerful forces operating that are charged with emotional aggression. War may break out if you aren't careful. Try to maintain the peace. Attendance at some kind of group event might seem especially appealing today. However, worries about your family might distract you so that you don't benefit from it the way you should. You also might find some of the conversation boring. Despite your lack of enthusiasm, it might be a good idea to get out anyway. Staying home alone could make for a gloomy evening. In your attempts to always be the nice, helpful one, you might find that you're compromising some of your values. Know that balance and harmony are wonderful things, but they aren't always worth the price of self-sacrifice. Don't be someone you aren't just to maintain the peace. Your tolerance is apt to be tested today. Don't feel bad if you suddenly feel like fighting.